In 1993, the NVHPV had a design contest. This contest was won by this beautiful styled Flevo-copy. 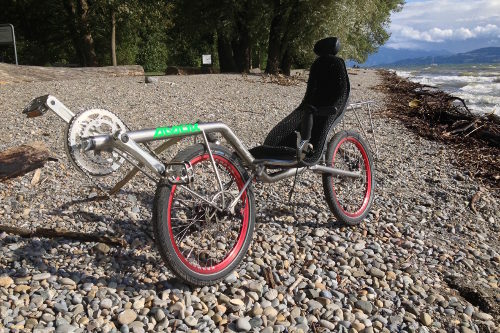 It was made of round aluminium tube, single arm rear suspension and a self designed alu seat. 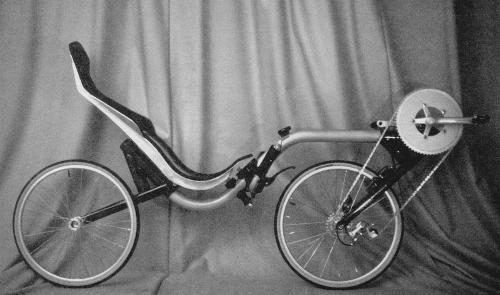 This bike won the Aluminium Award 1994 in the category 'bikes', as well. 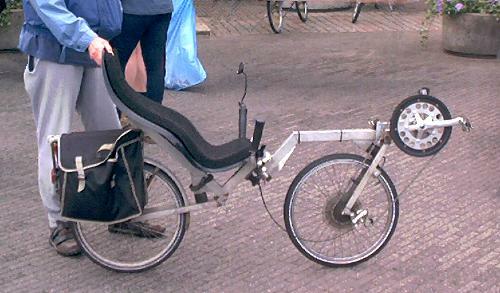 A Flevobike made from stainless steel. 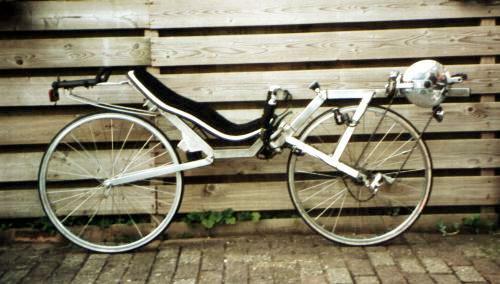 A stainless steel Flevobike Racer. 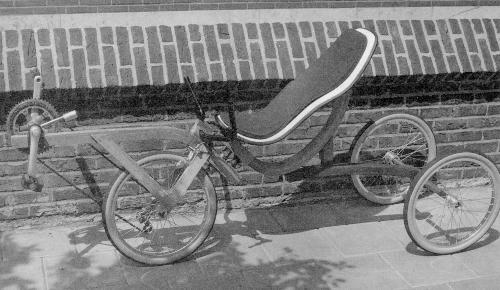 The 'Woody' trike of Nicolaas Pinter. Almost the complete frame is made of laminated wood. A Flevo-variant of Carbon fibre. The goal of this project work of Steffen Kanon was to develop the Flevobike Racer further. 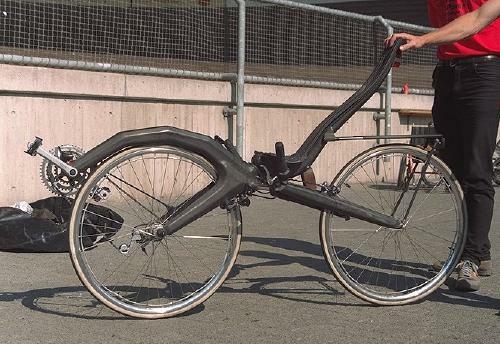 Inspired by Martin Anderseck's Racertje he created a bike which is compact due to its 20" wheels but can be used as a fully equipped traveling bike. The headset is a separable fork joint. On the inside it has an elastomer damper consisting of rubber rings. Next to the reduced weight (14.5 kg as shown) the design was important. The bike is made of stainless steel round tubes and with the lighting put into the frame tubes it reminds of Van Moof bikes. The rear fork which is made of a split round tube is a further design element, just like the luggage carrier on which the bike can be parked standing upright. Further information and drawings for building the bike yourself can be requested from the maker directly.